This has become quite a famous scarf, which was published many times in the twentieth century. It’s probably known now as Miss Marple’s scarf after it appeared in the TV series. This knitting pattern version has larger flaps/ ends (well, what would you call them?) rather like leaves. 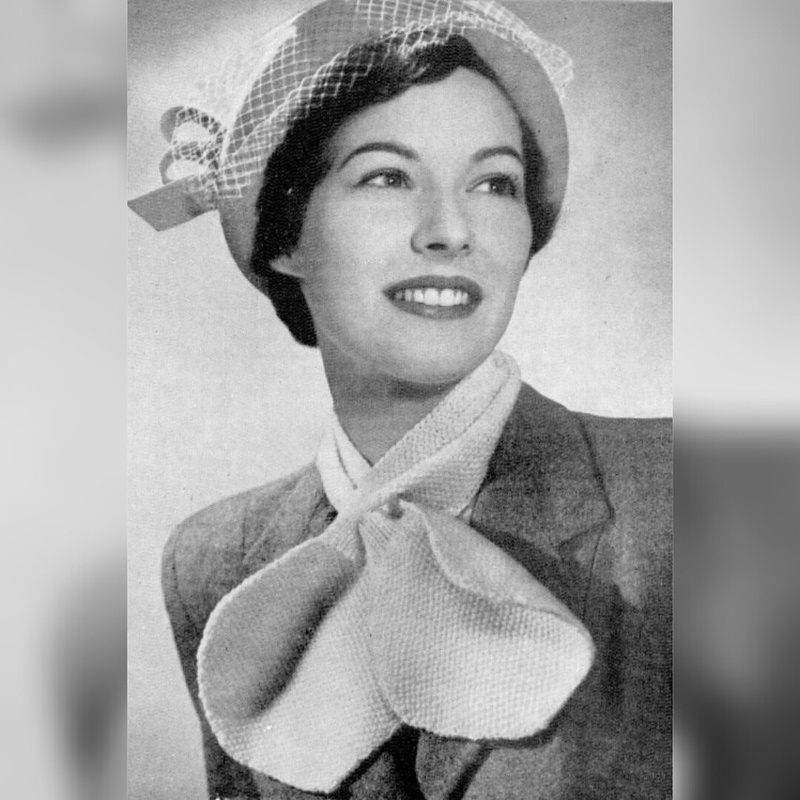 It’s from Bestway Knitting Issue 116 from 1948, which was a right bugger to scan, as the pages were pretty tiny and the whole thing was tricky to hold open without damaging it. In the end I took a mixture of scan and phone photos. Here is a scan of the front cover showing the cravat in yellow. The pattern begins in the left hand column below and the continues in right column of the next photo, then ends in first photo right side column. I’ve knitted this scarf so many times. 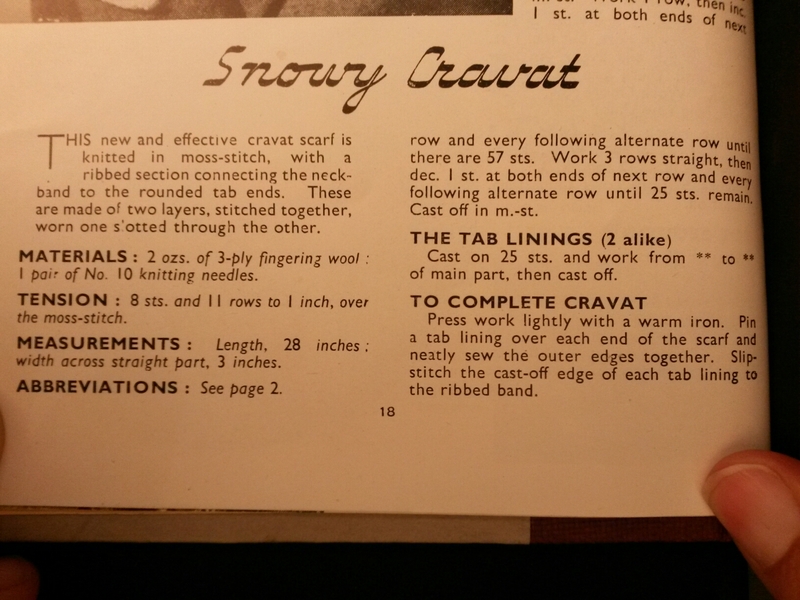 Now I have been asked to knit one for a friend and I can’t find my pattern. Probably got lost in moving.